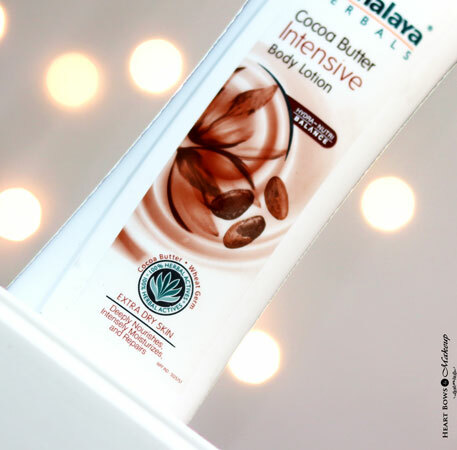 Home » Body Lotions » Himalaya Cocoa Butter Intensive Body Lotion Review: Your Best Friend for Dry Skin! 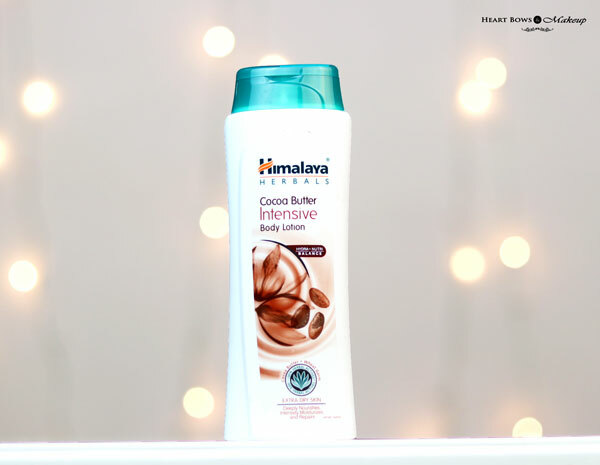 Himalaya Cocoa Butter Intensive Body Lotion, will deep condition skin and moisturize skin. Even though it moisturizes deeply it does not leave any oiliness or greasiness on the skin, blends in completely into the skin. Himalaya Cocoa Butter Intensive Body Lotion is infused with natural ingredients which help in nourishing the skin from deep within. It is infused with natural ingredients which help to deeply condition the skin and make it healthy. The Himalaya Cocoa Butter Intensive Body Lotion comes in a white opaque and plastic bottle with a flip open green cap. The cap is sturdy and doesn’t let the product seep out or create a mess. The opening of the bottle is perfect to dispense adequate product and doesn’t cause wastage. It is also available in various sizes hence you can buy one according to your usage or travel plans. Overall, it has a very simple and effective packaging to begin with and has all the necessary information mentioned on it. 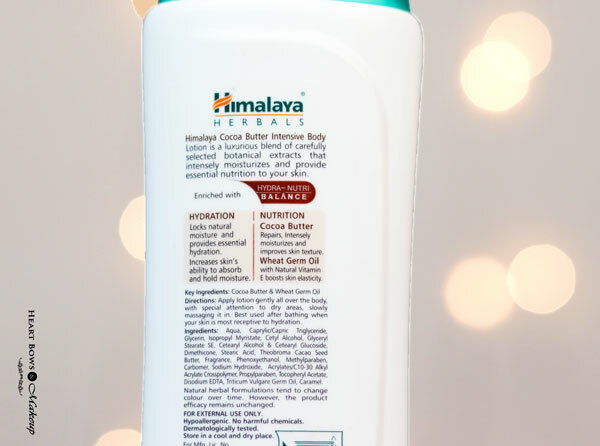 The Himalaya Cocoa Butter Intensive Body Lotion is off-white in color. It has a medium thick consistency and is cream based, which is why it simply melts into the skin while you massage it. The lotion spreads well and provides an instant hydration to the skin. The heavenly aroma of cocoa butter is surely one of the reasons why I love it so much. 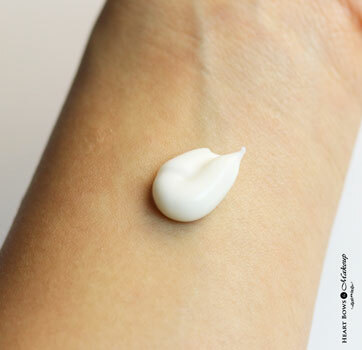 The body lotion is very hydrating which is surely a savior for dry skin. It is the perfect pick when your skin is parched, flaky and in need of some serious moisture. 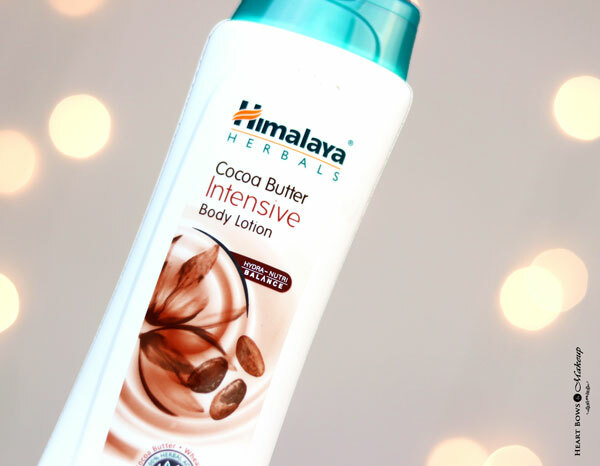 The Himalaya Cocoa Butter Intensive Body Lotion has a deep penetrating formula which relieves the skin of dryness the moment you apply it. The efficiency of the product is particularly rich and intense, which is why it is one of the highly recommended moisturizing products. It is enriched with the amazing goodness of Cocoa Butter Wheat Germ Oil and Glycerin. Cocoa Butter is known to be a natural moisturizer and is rich in hydrating properties. It is, in fact, one of the best emollients for dry skin. It does more than just hydrate the skin — it actually helps to heal the skin from inside out. It is also known for its anti-ageing properties hence, it makes the skin look more youthful. Wheat Germ Oil on the other hand is another great moisturizing element and boosts the skin’s elasticity. It is a rich source of vitamin B6 and folic acid of the Vitamin B complex. 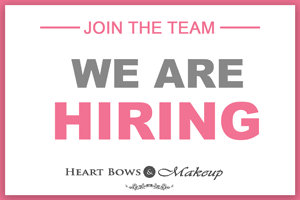 It heals dry skin from within, fights free radicals and supports healthy collagen formation. The Himalaya Cocoa Butter Intensive Body Lotion also contains glycerin which is an excellent humectant and prevents the skin from losing moisture. Overall, the lotion is augmented with various natural ingredients to make your skin soft, supple and nourished. It keeps the skin hydrated and soft for a good amount of time, even in the harsh winters. The skin stays moisturized for around 6-8hrs. It is one of the best affordable body lotions in India. The product is also hypoallergenic and dermatologically tested thus making suitable for even sensitive skin. Easy to spread, massages well and blends easily into the skin. Doesn’t feel heavy or uncomfortable. Warm and luxurious aroma of cocoa butter. It is enriched with the goodness of Cocoa Butter, Wheat Germ Oil and Glycerin. It makes the skin soft, smooth and hydrated for a long time. HBM Recommendation:The Himalaya Cocoa Butter Intensive Body Lotion is a nice hydrating body lotion for dry skin. It contains natural ingredients like cocoa butter, wheat germ oil and glycerin which are very beneficial for the skin. The lotion is further complimented by a wonderful warm and luxurious aroma of cocoa butter. It provides an intense hydration and keeps the skin protected for a long time. With such an affordable price tag, this is surely one of the most recommended body lotions.